When is Priyanka Chopra not in news? 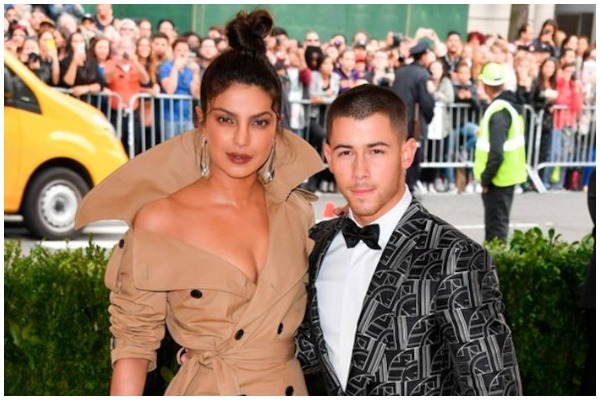 Our desi girl has been making headlines from her recently wedding appearance at her BF Meghan Markle’s royal wedding to Prince Harry and her last year red carpet at MET Gala 2017 with Nick Jonas is still raising our eyebrows. However, Priyanka has set the rumour mill running again and has left us all wondering if there is a special man in her life, namely— Nick Jonas. Priyanka was first linked to the one third of the Jonas brothers’ trio Nick Jonas back in 2017. ‘Quantico’ actress walked down the red carpet of the MET Gala 2017 with the ‘Jealous’ singer. Since then Priyanka and Nick have been spending a lot of time together, hence sparking off dating rumours. America just celebrated its Memorial Day weekend with a bash. Priyanka also enjoyed the American holiday but she had a special guest. Over the weekend Priyanka was spotted with Nick Jonas several times. Rumoured couple—Priyanka, 35, and Nick, 25, started off their weekend on a rocking note by attending the ‘Beauty and The Beast’ concert, tried to keep their appearance low-key. Soon after the couple was spotted enjoying the Dodgers game. Seeing off the holiday weekend on style, Priyanka was seen cosying up with Nick on a yacht. Priyanka has been linked with many western actors. British heartthrob and ‘Thor Ragnarok’ star Tom Hiddleston and ‘I,Tonya’ actor Sebastian Stan being the two of them. On the other hand, Nick split from Olivia Culpo in 2015 after 2 years of relationship and his other link-ups included Kate Hudson and Westworld’s Angela Sarafyan too. If reports are to believed, Priyanka Chopra and Nick Jonas are in a very casual relationship. They have been flirting, texting and ‘hanging out’ constantly. Well, casual or not, their little summer love is adorable. We will next see Priyanka in Salman Khan starrer and Ali Abbas Zafar directed ‘Bharat’.